AIR is something about which we often are oblivious, in part because we neither can see it (nor should we) nor can sink our teeth into it. Fresh air, too, we tend to take for granted, except when as urbanites we lack it and gasp (gag!) for (wheeze!) breath (cough!). In motion, air becomes wind. We still can’t see it, but we sure can feel it. Wind blowing upon plants makes them grow stronger, as you too would grow more muscular always walking against it rather than with the wind at your back. Air indoors, however, is relatively devoid of movement, except when you are around. Fans can stir things up, which also guards against mold, but artificial wind saps electricity no less than does artificial light. 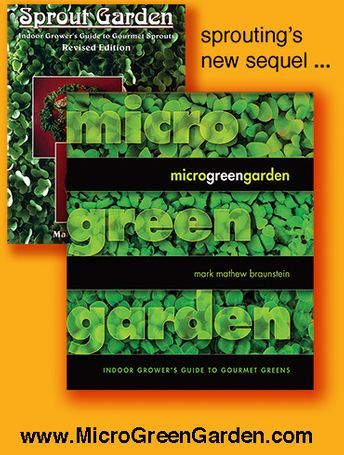 So consider manually stroking your microgreens, just once a day thumbing through them with your fingers as you would the leaves of a book. Such interaction is both symbiotic and symbolic, strengthening your little leafies while also strengthening your ties with them, thereby putting you in touch with nature and with your inner microgreen. VENTILATION of air is a mechanical way of assuring fresh air, and plants need fresh air no less than you do. A windowless small bedroom with its door closed might not smell stuffy to you upon waking, but will to your housemate who opens the door to waken you. 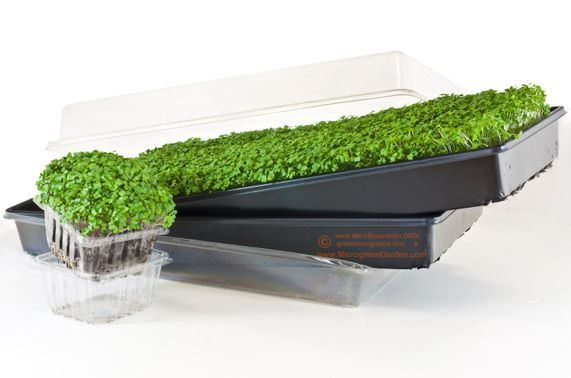 Quite the opposite, the room in which you grow microgreens will smell refreshed and will feel energized, even at night. While you may not notice, visitors to your home surely will. So be assured that if you cannot provide your greens with the fresh air that they need, they nevertheless will oxygenate and cleanse the daytime air that you deserve.